Concerning mezuza covers with formed images of people on them (like in this picture) or with a sun or moon on them. What is is the Halacaha of these mezuza cases? Based on Yoreh Deah 141:3 we are not to even own tzuras (either bolait or shakua)images of the sun and moon. Concerning the image of a person even the face alone is a problem (Taz 141:15). 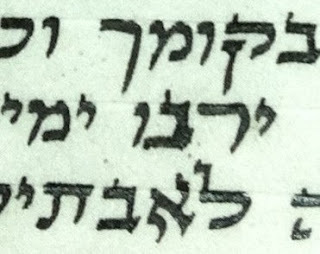 See also the Mechaber 141:4 where the girsa is "afilu Lenoi" see also the Shach ibid:21. 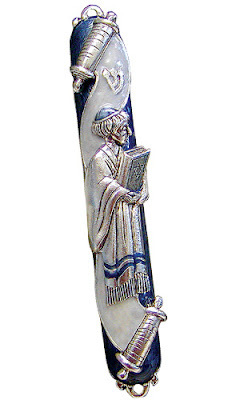 The Beis of yirbu - is this a beis or a nun? I think a tinok can be asked.